My name is Katie Fitzmaurice and I took over the Jo Jingles Ipswich Franchise in January 2016. I run classes in Ipswich and the surrounding area from Stowmarket down to Hintlesham, across to Woodbridge and Felixstowe. I am a qualified teacher and worked in an Ipswich primary school for the last 10 years. I also have an Early Childhood Studies Degree. I have two children of my own who have both loved attending Jo Jingles classes with me since they were tiny. I have seen their confidence grow and the fun and educational benefit the classes provide. 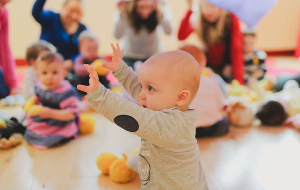 We all love Jo Jingles so I am really happy to be running the classes and look forward to meeting lots of new Mums and children as well as those who have loyally supported JJ previously. A fantastic class for your little ones! My 2 year old loves the singing, the dancing and especially the variety of instruments! A fantastic class for your little ones! My 2 year old loves the singing, the dancing and especially the variety of instruments! Great interaction and really fun. I have been taking my daughter to Jo Jingles since she was 3 months old. I have been taking my daughter to Jo Jingles since she was 3 months old. She is now 7 months old and is still thoroughly enjoying it and is loving playing the musical instruments. She also loves the songs we do and gets excited when she hears one she knows and likes. 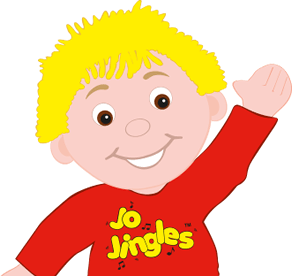 I've done Jo jingles for a long time with all 3 of my children. I love it and so does my 3 year old. 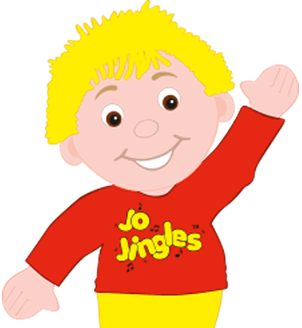 I've done Jo jingles for a long time with all 3 of my children. I love it and so does my 3 year old. Katie is bringing something new with her teaching background. It's fun, teaches great rhythm and listening skills with great songs and even some keep fit for the carers. Totally recommended! My son has just enjoyed a fantastic Jo Jingles 3rd birthday party. Katie was absolutely brilliant, she kept the children interested and captivated the whole time. The party had everything from singing, dancing, games and the ever popular parachute. I've had so many comments from the parents about how great the party was and how much their children enjoyed it. Absolutely perfect for a little ones party. Thank you Katie for an amazing Jo Jingles themed birthday party for our one-year old. Thank you Katie for an amazing Jo Jingles themed birthday party for our one-year old. 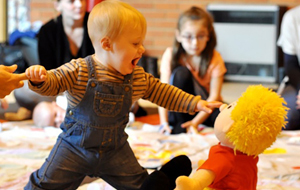 The babies and toddlers loved dancing, singing and playing the musical instruments. Immense fun for us parents too! We were told it was one of the best parties our guests had been too. I'd recommend Katie in a flash. Reasonable rates, will travel to your venue and party gifts included. All great! My daughter loves Jo Jingles, I first took her when she was 3 months old, she's now 8 months and has loved every session. My daughter loves Jo Jingles, I first took her when she was 3 months old, she's now 8 months and has loved every session. She loves the music and is interacting more and more with others each week. We play the songs at home and little Jo is a favourite. Thank you to Katie for a great term and we can't wait to come back after Easter! My two boy's have just completed their first half term at Jo Jingles. I cannot recommend Katie and more highly. My two boy's have just completed their first half term at Jo Jingles. I cannot recommend Katie and more highly. Her sessions are so much fun my boy's have thoroughly enjoyed it. Aged 3.5yrs and under 2yr the activities in each session suit them both perfectly. Katie really welcomes every member to the group and this makes everyone feel special. As a mum I can honestly say I look forward to Monday's sessions and joining in with my boys. A brilliant introduction to music and lots to learn under the guise of fun! 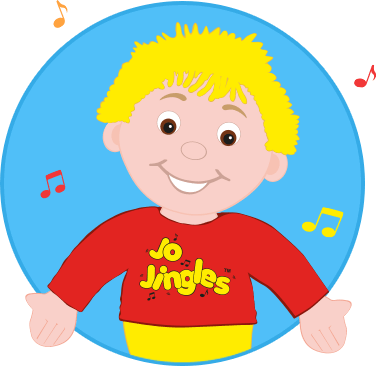 Both my boys love Jo jingles, i took my first son when he was 4 months old and he still loves it now at 3 years, he enjoys singing all the songs and loves doing all the movements and playing the musical instruments. My 6 month old also really enjoys himself and it's great to be able to take them both together. I would highly recommend the class for babies and toddlers. My son Charlie & I have been attending Jo Jingles in Ipswich since March 2016 when he was 12 weeks old. My son Charlie & I have been attending Jo Jingles in Ipswich since March 2016 when he was 12 weeks old. They offered a fantastic baby discount which we appreciated as he often fell asleep & missed part of the class. Of course he was very young in the initial classes but we've been going every week since & it's very clear how much he enjoys it. He grins from ear to ear when "Jo" comes over to say hello. A fab class, very welcoming, fun & educational with lots of variety each ... week. Thank you Katie for a lovely Jo Jingles Party last Saturday. Emily and her friends really enjoyed the event. Thank you Katie for a lovely Jo Jingles Party last Saturday. Emily and her friends really enjoyed the event. It was lovely to see not only the children, who aged from nearly 1 to 7, but also the parents joining in with the songs & actions. We all had a chance to be children again! 2+ class coming to St Augustine's!